Modern, townhouse-style studio and 1-3 bedroom apartments for rent in Woonsocket, RI. Some with private decks, car ports, views of Blackstone River. Great location, close to I-95, and just a short walk to Main Street shops, restaurants, public transportation, and more. 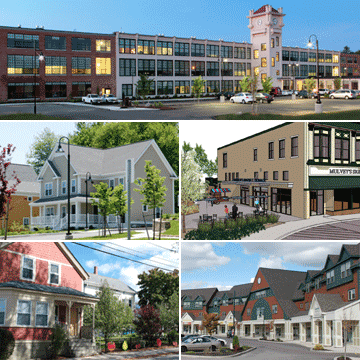 Modern studio and 1-4 bedroom apartment rentals in Woonsocket, RI. Walk to Main Street shops, restaurants, public transportation, and community centers. Easy access to I-146, I-95 and I-295, and Landmark Medical Center.